Upwards of 360 million photos are uploaded every day to Facebook. But are you still posting pics like it's 2006? From creating a disappearing profile photo to stopping the Facebook app altering your images when you upload them, here are eight pro tips you seriously need to know. Want to make sure a friend of a friend doesn't see pictures from the outing you didn't invite them to? On Facebook, once you've tagged someone, click on the audience drop-down menu. Next select More Options and click Custom. 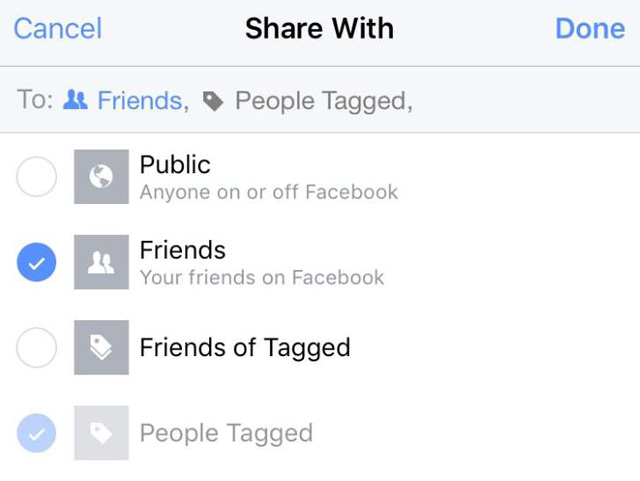 In the "Custom privacy" pop-up that will appear, uncheck the "Friends of tagged" option. For iPhone users it's a little more simple. 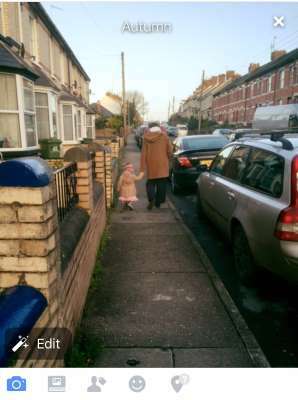 Once you've selected an image and added the tagged name, just tap at the top of your screen on the "To:" section. You can now uncheck the Friends of Tagged option to keep the image more private. A new feature is gradually being rolled out to everyone on Facebook called Featured Photos, which lets you select five images to showcase yourself, or as Facebook phrases it, "to help people get to know you better." These images appear in a collage on your Facebook mobile profile for an at-a-glance look at you. If you have access to this functionality, you'll see the option to "Add featured photos" in the "Intro" section of your Facebook profile page on Web or mobile. 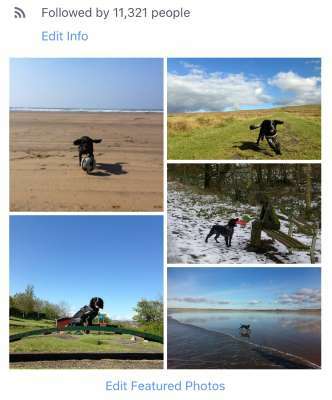 Simply click the link and you can select five images from all your previous Facebook uploads. It's important to note you can't change the privacy levels of your featured photos. They are public by default. You want your Facebook images, especially your profile and cover photos, to look their best. It's therefore handy to know what the ideal dimensions are. Your cover photo displays at 851 pixels by 315 pixels, so don't use an image smaller than that. 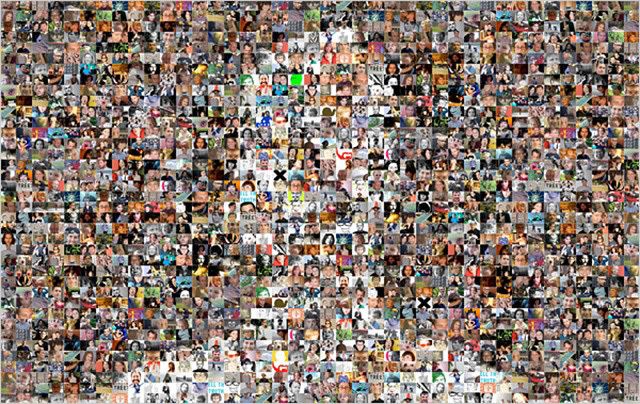 Profile pics are squared off at 160 pixels x 160 pixels. Facebook states that "supported sizes" for regular photos are widths of 720 pixels, 960 pixels, and 2048 pixels. High-quality uploads are recommended for 2048-pixel pics. While a quick, behind-the-scenes, algorithmic fix on your average snapshot isn't a disaster, you may not want the Facebook app to "auto-enhance" every image you upload. The auto-enhance process can change a photo's light levels and clarity, so if you're trying to get arty, you may want to turn this functionality off. IPhone users need to tap "More" at the bottom right of their phone's screen, scroll down to see Settings then select Account Settings. 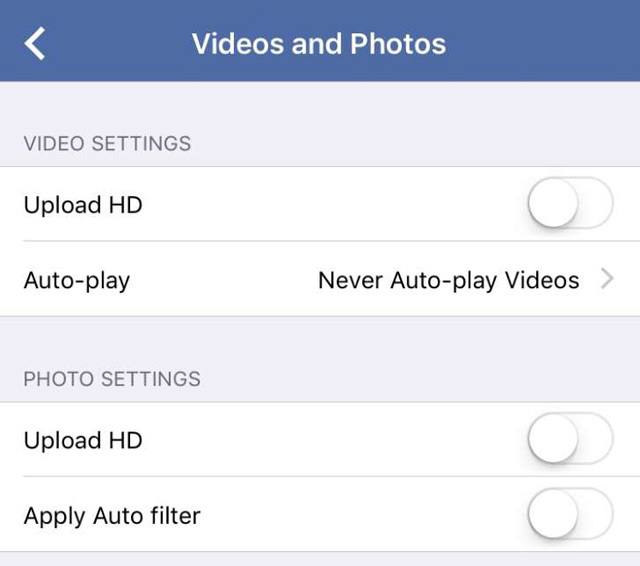 From there, tap on Videos and Photos, then toggle the Apply Auto filter to off. Android users also need to head to their App Settings menu, then tap "Enhance photos automatically" below Photos. In order to upload decent-quality images to Facebook, and not fall victim to its evil image compression tactics, you have to create a new album. Simply check the "High quality" option as you make the new album, and all photos you upload to that album will be at a higher resolution than piecemeal uploads. 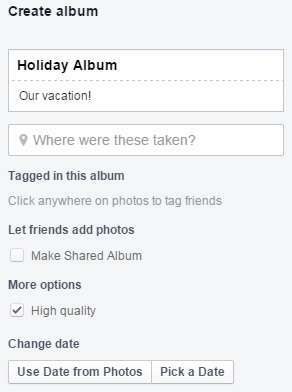 It's possible to share your Facebook photo albums so others can add images to them. Just be careful before you do: Your family members might lack your discretion and curation when selecting vacation photos to share. To create a collaborative album, go to an album you've already created and look for the "Change to Shared Album" option towards the top right of your screen. In the pop-up box that appears, add the names of Facebook friends you'd like to allow to contribute images. At this stage you can also hit the drop-down arrow to adjust the album's privacy, i.e., if you'd like the contributor's friends to be able to see the album too. Once you've clicked on Save, your album will be shared. Alternatively, if you're creating a new album from scratch that you want to share, check the "Make Shared Album" option and add friends' names in the box that appears. Did you know you can change your profile picture temporarily? You can set an image to "expire" and revert back to your previous pic after a certain time period. Whether you want to do it to show support for a sports team, or to mark an event or meaningful date, it's an easy-to-use feature available to iPhone and Android users. In the Facebook app tap on your profile picture, select Upload Photo and choose the image you'd like to use. Now click the Make Temporary option and set how long you want the image to display. Finally, when you're using the Facebook app, there's a quick way to add a filter effect to an image before you post it. 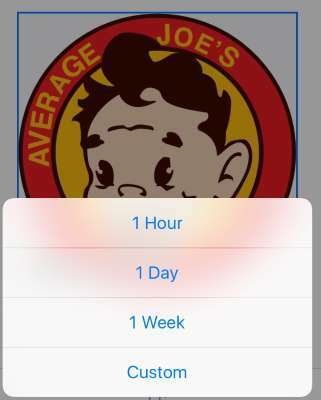 Select the image you want, tap Done, then swipe the screen to cycle through the filter options and see previews.